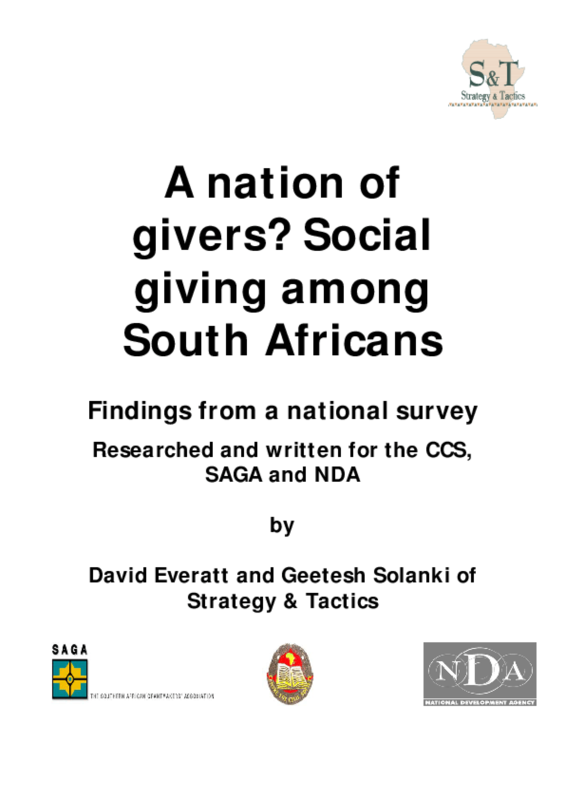 The Centre for Civil Society, the Southern African Grantmakers' Association and National Development Agency are partners in a large research project focusing on the mobilisation of resources for poverty and development initiatives from a wide range of sectors (government, civil society, official development aid and so on). One component of the broader project is a focus on individual-level giving; this report is part of the individual-level giving area of focus. Copyright 2005 Centre for Civil Society (CCS), Southern Africa Grant makers Association (SAGA), National Development Agency (NDA).